60s Multicolour Peace Design Fancy Dress Accessory Glasses. Perfect for Hippie themes, Festivals or any fun fancy dress! 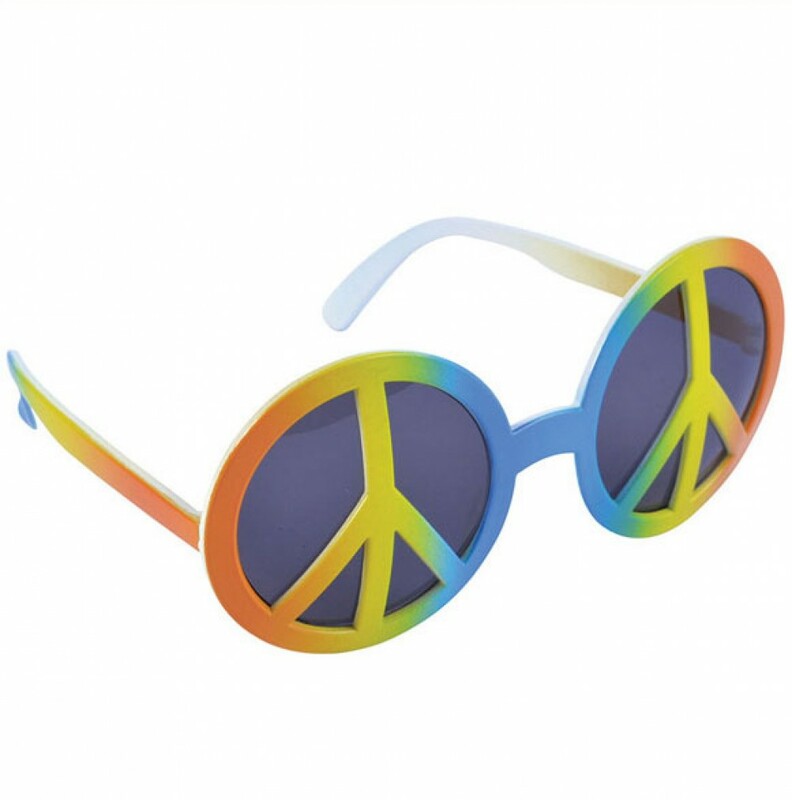 A pair of fancy dress glasses with a fun peace design, dark lenses and multicolour frames. These glasses measure approximately 6” wide by 2.7” high. 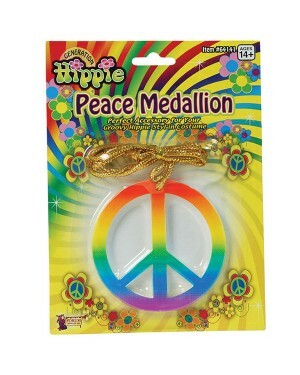 A great novelty item for festivals or summer parties & a great fancy dress accessory for a Hippie theme! One size, to fit most.